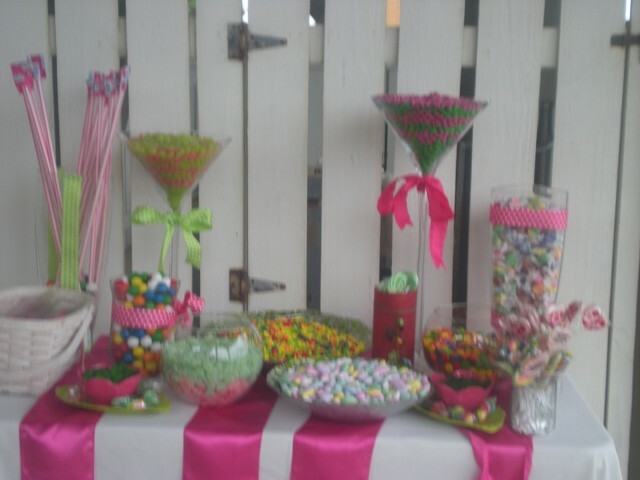 Candy tables have become popular at weddings. These can be used as your favors for guests, as well. 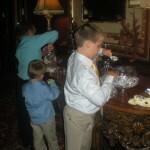 A small box, small Chinese carton or bag can be placed at the table for guests to take some home, too. 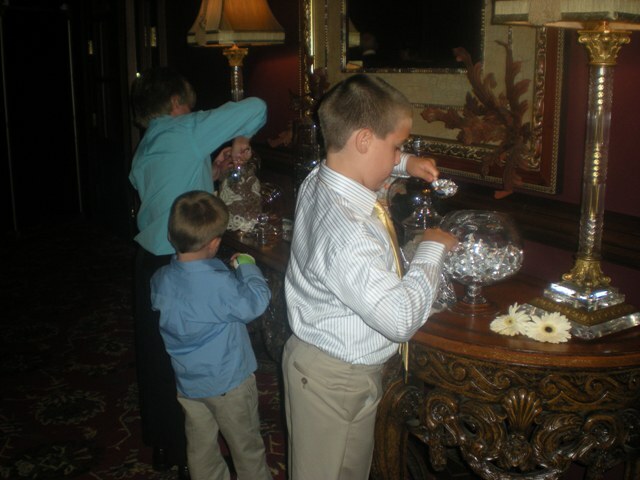 The kids are in heaven with all the candy choices. 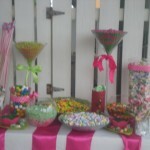 You will need several different sized containers with little scoops and of course, the candy.